This year marks The Cheesecake Factory's 30th anniversary. In honor of this exciting milestone, we invite you to join in the celebration! Cheesecake Factory guests who purchase two entrées will be treated to a slice of our legendary cheesecake with our compliments. Simply print this offer and present it to your server between Monday, June 23, and Thursday, June 26, and choose a slice of our famous cheesecake for you and a friend to enjoy. Sharing is a big part of the fun at The Cheesecake Factory. So, feel free to share this offer with others. It will be accepted at any Cheesecake Factory restaurant nationwide, so everyone can join in celebrating our 30 delicious years! Decided to save some gas and ride the bike to Starbucks Kam Shopping Center from my house. Bike still runs great! One of the spokes was broken but das about it. 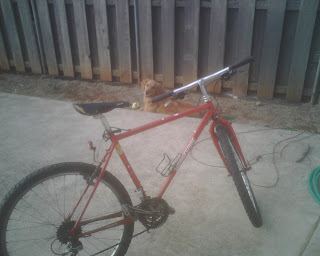 That bike has been with me for over 10 years! 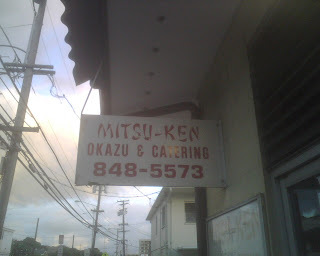 Took some pics of Mitsuken along the way. My fav is the breakfast at $2.88. I think it was $2.50 before but still a great deal with all the fried rice they give you. 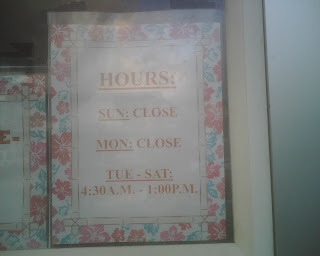 It's close to the Starbucks on Kapahulu. If you like rich, creamy, broth, that's their speciality here. So that means it would take 14 years to pay for the system. I talked with another vendor and they charge close to the same. The panels are way bigger than solar water heaters so you would need a decent size roof. It has to face south and not be blocked by anything. Another factor to remember is the life of your roof. You don't want to install it and then realize your roof needs to be redone. Right now, the cost is a little too high. Hopefully the prices come down and they don't get rid of the federal and state tax credit. Without those, it would be a lot more expensive. Heard that this was too salty. Didn't taste too good either. This was the best thing I had! I could have just eaten this all night. Nothing impressive. Just a normal salad. 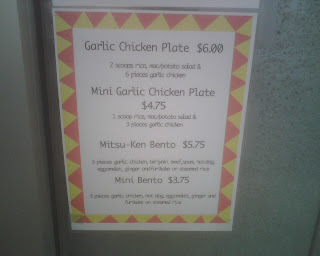 This is one of their more popular dishes. I thought it was OK. I'd rather have the furikake onaga at the Pinapple Room. This is what I ordered. The meat was a little too chewy. Overall a good dish with different flavors to taste which I like. This was a banana mochi ice cream dessert. Kinda messy but pretty good.